'Tis the season for hot chocolate and mouthwatering treats. But sometimes too much of a good thing can be downright deadly . . . ** ** CHRISTMAS COCOA MURDER by CARLENE O’CONNOR Siobhán O’Sullivan’s hopes for a quiet Irish Christmas are dashed when the local Santa turns up dead in a carnival dunk tank of hot cocoa. Now instead of hunting down holiday gifts, she’s pursuing a heartless killer. Seems the dead Santa was no angel either, stealing neighborhood dogs to guide his sleigh. But was it his holiday antics—or worse—that led to his death by chocolate? CHRISTMAS COCOA AND A CORPSE by MADDIE DAY When local businessman Jed Greenberg is found dead with a Chocolate lab whimpering over his body, the police start sniffing around Robbie Jordan’s country restaurant for answers. Was it something in Robbie’s hot cocoa that killed Jed, or was it Cocoa the dog? As the suspects pile as high as her holiday tree, Robbie attempts to get to the bottom of the sickly-sweet murder . 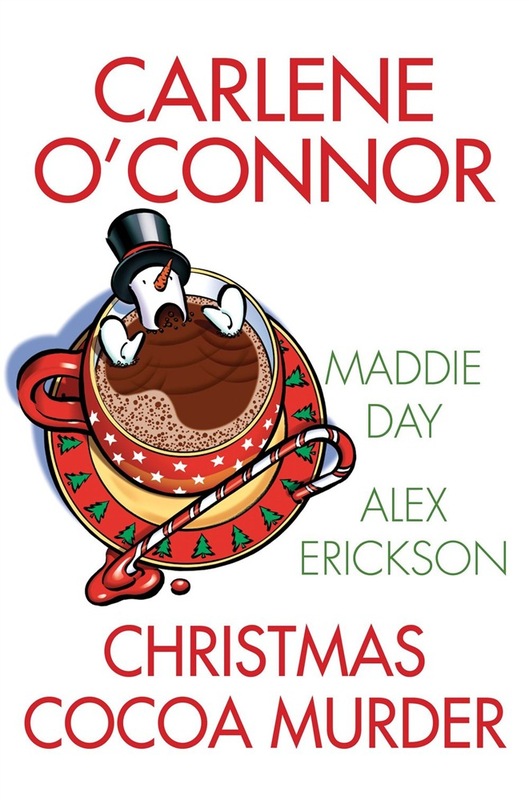 . . DEATH BY HOT COCOA by Alex Erickson A Christmas-themed escape game seems like the perfect pre-holiday treat for bookstore café owner Krissy Hancock and her best friend. But when the host is found dead in a pool of hot cocoa, it’s up to Krissy and her team to catch the killer—or escape before getting killed. There’s nothing like a hot cup of murder to warm up the holiday season! 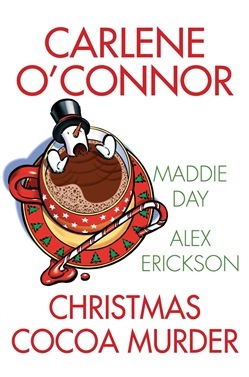 Acquista Christmas Cocoa Murder in Epub: dopo aver letto l’ebook Christmas Cocoa Murder di Alex Erickson, Maddie Day, Carlene O'Connor ti invitiamo a lasciarci una Recensione qui sotto: sarà utile agli utenti che non abbiano ancora letto questo libro e che vogliano avere delle opinioni altrui. L’opinione su di un libro è molto soggettiva e per questo leggere eventuali recensioni negative non ci dovrà frenare dall’acquisto, anzi dovrà spingerci ad acquistare il libro in fretta per poter dire la nostra ed eventualmente smentire quanto commentato da altri, contribuendo ad arricchire più possibile i commenti e dare sempre più spunti di confronto al pubblico online.